Ousting Craig Mabbit and replacing him with Beau Bokan was, in retrospect, the best decision that Blessthefall could have made. Not only was the band able to shed itself of a liability, they have also been able to take their sound to the next level after the frankly amateurish "His Last Walk". 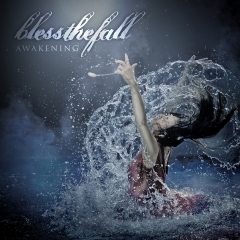 "Witness" was the first symptom of their rebirth, and although it was readily embraced by critics and fans alike, it is not until this latest creation, "Awakening", that Blessthefall finally come into their own. When inspected at first, the album has little to offer in terms of innovation, boding tried and tested metalcore with the usual contemporary wash. But Blessthefall's greatest asset is their contention with staying within the genre's trusted confines and focusing on excelling at it; a song like "Promised Ones" reveals as much. It follows a traditional structure to be sure, but on it the band also refrains from excessive breakdowns and unnecessary electronic samples, preferring instead to flash their prowess at providing blazing guitar riffs and an instantly memorable chorus. Carrying this approach into "Bottomfeeder", Blessthefall waste no time in establishing themselves as the current go-to guys for melodic metal goodness. In contrast with "Witness", which was widely accused of sidelining the raw emotion of "His Last Walk" to much distress, the stuff here makes a point out of recalling the band's screamo-tending origins, albeit in tune and glitches smoothed out. 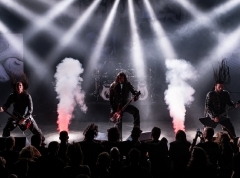 Songs like "I'm Bad News, in the Best Way" and "The Reign" bring back the heart and power through riffs that are more epic; clean singing that sounds both more powerful and more serene; and breakdowns with more punch than on previous efforts. Clearly Blessthefall have not only developed as musicians, they have also grown into decent song-smiths, as the brilliant "Don't Say Goodbye" proves. On the other hand, lighter ventures like "40 Days" are likely to cause some grief among those less amicable to ballads, and despite the overall stamp of approval that "Awakening" receives from my desk for its excellence in delivering solid metalcore, the formula begins to feel a little too predictable come "Undefeated". There is nothing wrong with this characteristic as such because it means that no matter what song you happen to select, it will provide quality roughly on par with every other song on the album. It is only in the capacity of listening to the album front to back that the band's one-pronged concept begins to grind my patience somewhat. 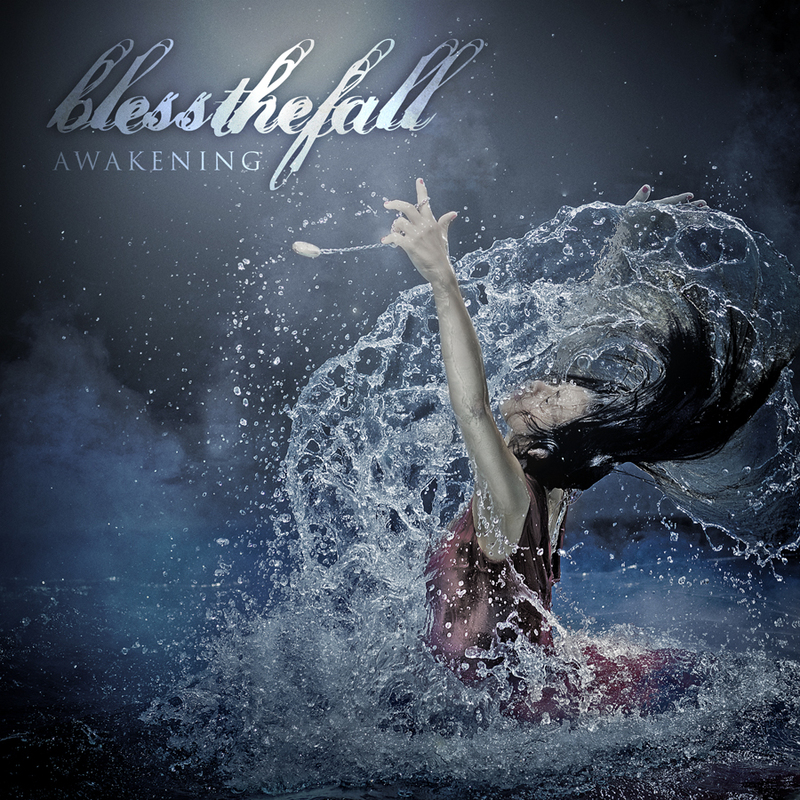 Be that as it may, what Blessthefall show with "Awakening" is that they're more thankfully rid of Craig Mabbit than ever and underway to becoming one of metalcore's trusted flagships. If the progressive closing duo, "'Till the Dead of Me" and "Meet Me at the Gates", intercepted by a short interlude in "Flatline" are any indication of the direction Blessthefall hope to pursue on future efforts, then the band's full potential is yet to be unleashed. In the meantime, the one frontier that remains to be conquered is lyricism on par with the musicianship on display.